Mainly sunny. High 71F. Winds light and variable..
Shop Downtown Elko third place winner Brenna Rogne stands next to Indigo owner Hayley Bammesburger. Rogne won $200 in DBA bucks from Indigo. 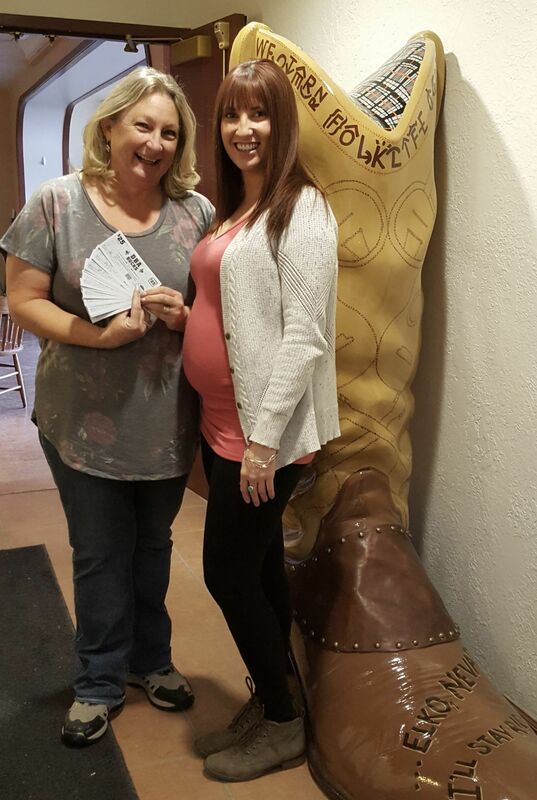 Shop Downtown Elko first-place winner Charlotte Parker stands next to Courtney Steelman of the Western Folklife Center. Parker won $500 in DBA bucks to spend at the Western Folklife Center. Shop Downtown Elko second place winner John Dinsmore shakes hands with Jeff Dalling, owner of the Coffee Mug Restaurant. Dinsmore and his wife Christie won $300 in DBA bucks from the Coffee Mug. 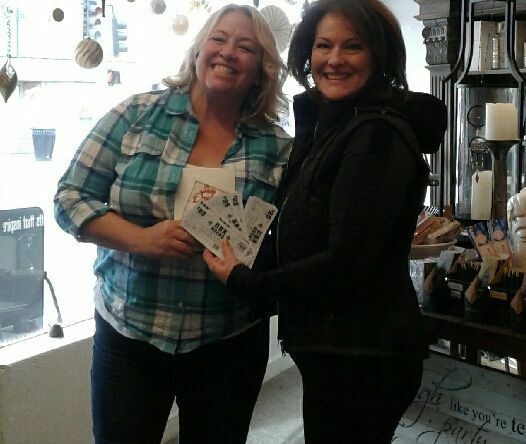 ELKO – The winners of the Shop Downtown Elko contest received their prizes last week from the Downtown Business Association. The contest traditionally starts on Black Friday and runs to Dec. 24. Winners are drawn at random by a member of the DBA during their meeting. Charlotte Parker of Rapid Transport LLC won the first place prize of $500 in DBA bucks to spend at the Western Folklife Center. Second place winners Christie and John Dinsmore received $300 from the Coffee Mug and Brenna Rogne won $200 from Indigo Gifts for coming in third. “I was so surprised,” Rogne said. “I had to ask if it was a prank when I received the winning call with the good news.